One of the joys of toy photography for me is creating stories about beloved characters from my favorite fandoms. Star Wars, Doctor Who, Marvel, Firefly — these are familiar universes, places I enjoy visiting whenever I watch or re-watch the movies or TV episodes. And now, with the detailed action figures provided by so many toy companies, I can take those characters with me on vacation. Chastened, I’m quick to answer. “Yes, ma’am. 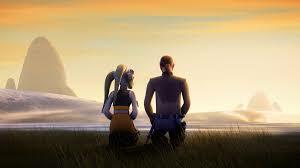 Of course, you’re right.” It’s never a good idea to cross General Syndulla. Some people experience discomfort when using somebody else’s story character in their art. They don’t want to violate the original intention of the creator. This is an admirable philosophy, and there are times when I feel this way, too. If it bothers your conscience, I would encourage you to stick with your convictions! Another downside to working with “licensed characters” (story characters who are owned by somebody else, like how Disney/Star Wars owns Kanan) is that the license holder can decide that they don’t like your art, or they don’t like you making money from art that contains their characters. 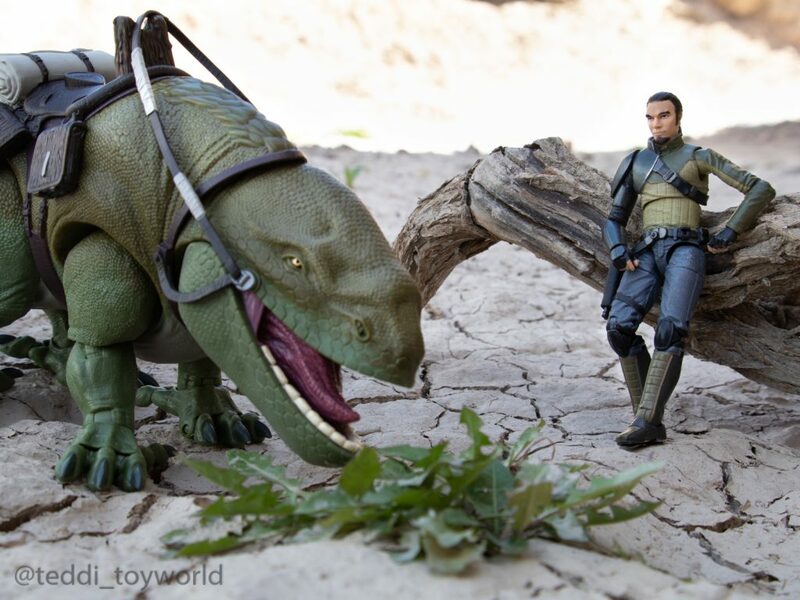 Some toy photographers have experienced situations where they were told they could not sell their photography because it depicted a licensed character. If you want to make money with your toy photography, you may want to keep this potential issue in mind. However, most of the time there are no problems with creating “fan art”. In fact, the very existence of action figures is in my opinion an invitation. Toys may have originally been intended for children, but the fact is that there have always been adult toy collectors. Whether because of nostalgia for our childhood or because of the money invested in assembling a collection in the first place (and the greater value some toys gain over time), there are a lot of adults out there with toys in their closets. Or on display in their offices. There was a time when playing with toys would have been something you wouldn’t want to admit to anyone if you were over 16 years old. But times have changed. I freely admit to playing with toys. I even do it in public! The Internet has transformed the landscape of our world. And Instagram opened the door for a beautiful community of adults who still enjoy creating new stories with their favorite characters to come out of the closet and bring their toys with them. And oh, the creativity that has ensued! I’m sure most people reading this blog are familiar with the variety of ways you can photograph existing characters. Still, I’m sharing this list and tagging a few fellow fan art creators in the hopes that it will provide inspiration for days when you feel stuck — or if you want to try this for the first time. The first and most obvious way to use an existing character is to set up a scene from the movie or show they are from. This is both fun and challenging. Depending on how true to the original you want to be, it may involve creating the background set for the scene, which requires props and materials or LEGO pieces. Collecting enough figures from a movie or show to create your toy cast for the scene can be an obstacle at times. There are some scenes I’d love to do with a Star Wars 6-inch Black Series Ghost crew, but not all the characters have been released (and they may never be, sadly). 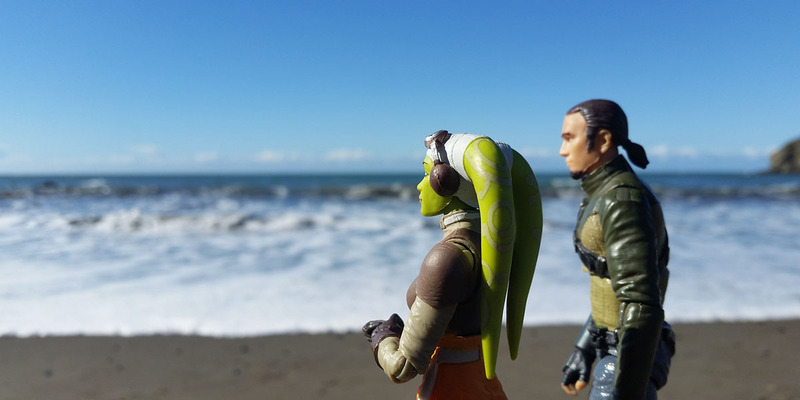 So I focus on the scenes I can make with just the Kanan and Hera figures that I own. And sometimes, I don’t have the time or motivation to make the scene exactly the same (though I admire those who do!). One of my favorite photographers who does a lot of re-creations is @raisinglittledragonslayers. She works in LEGO, and does side-by-side shots from Star Wars, Lord of the Rings, The Walking Dead, and others. If you like to keep your stories true to the official canon, you can still create new scenes that could plausibly fit in between the scenes shown on film (or in books or comics). 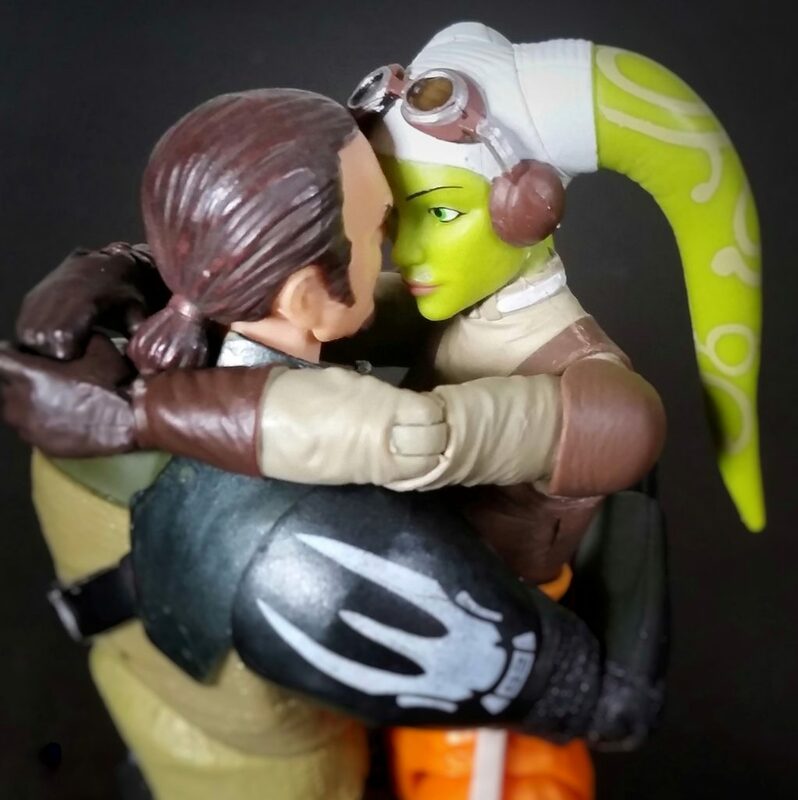 For most of the Star Wars Rebels series, there were no on-screen moments where Kanan and Hera showed physical affection. During that time, I felt a little awkward posing my figures as if they were in love. 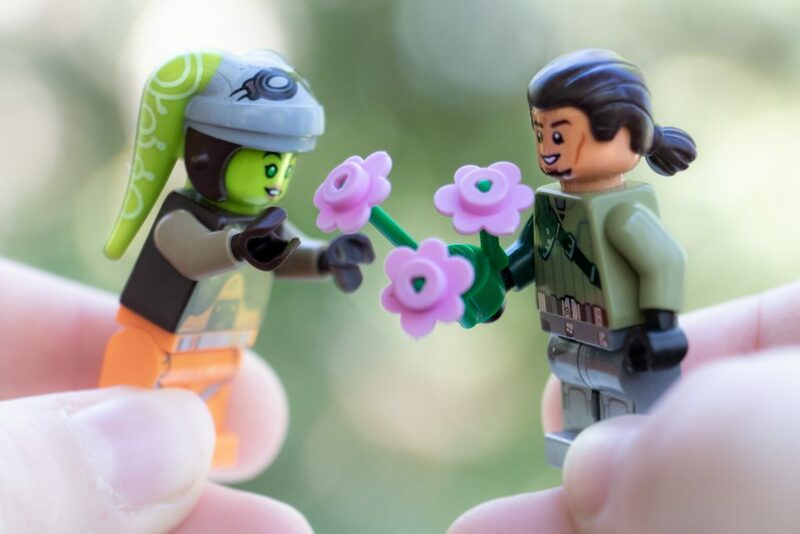 When the canon story revealed that they did have a deeper relationship, I was glad to post more photos of these brave lovebirds. 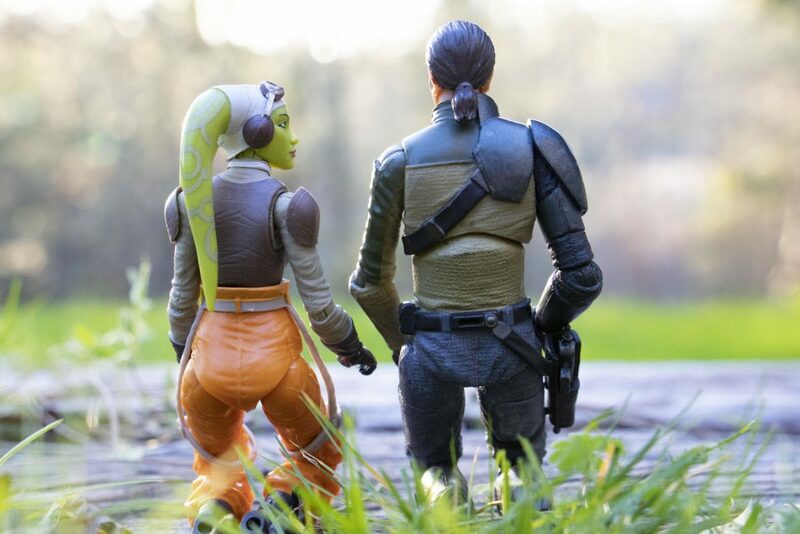 Most of my Kanan and Hera photos fit within this category. They travel through many landscapes, on some unnamed mission, individually or together. Some other folks that do a lot of this: @truupperi, @3lesie, @chewbacookie, and @wonderbunk. Some stories end with the main characters having achieved victory and walking off into the sunset to (we assume) live happily ever after. Frodo and Sam toss the Ring into Mount Doom and go home to the Shire. From that moment on, you can tell stories of what you imagine happened next. Of course, this only applies to stories that are finished. A lot of the stories with toys available today are still ongoing (Marvel, Star Wars, Doctor Who, etc). Actually, let’s keep talking about Firefly, because it perfectly illustrates this section. My favorite character in Firefly dies in the movie and the comics. But I would rather pretend that didn’t happen and keep telling stories about him. One of the privileges of fan fiction is the ability to rewrite the story to be something you enjoy more than the original. What if Aragorn fell in love with Eowyn instead of Arwen? What if Luke and Ben Solo hadn’t clashed, and Han and Leia had never broken up? What if the Death Star didn’t blow up and the Empire found and destroyed all the Rebel bases and dominated the known universe? What if the Doctor regenerated as a woman? Oh, wait, that one really happened, finally. 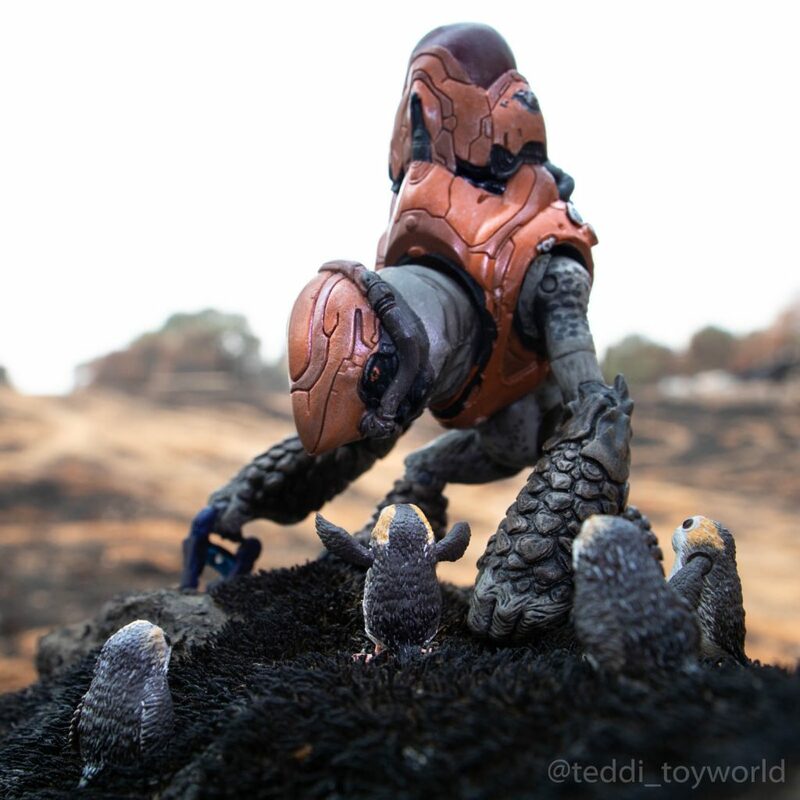 Toy photography is about a lot of different things. The peace and beauty of nature, the intensity of cinematic action, the emotion of interactions between characters. And humor. Lots and lots of humor. When it comes to fan fiction, one approach to humor is to play off an existing character’s known traits or history. Photos with Chewbacca and porgs are funny, because of what happened in The Last Jedi. Photos of Deadpool playing practical jokes on people is funny because of his sarcastic, irreverent nature. 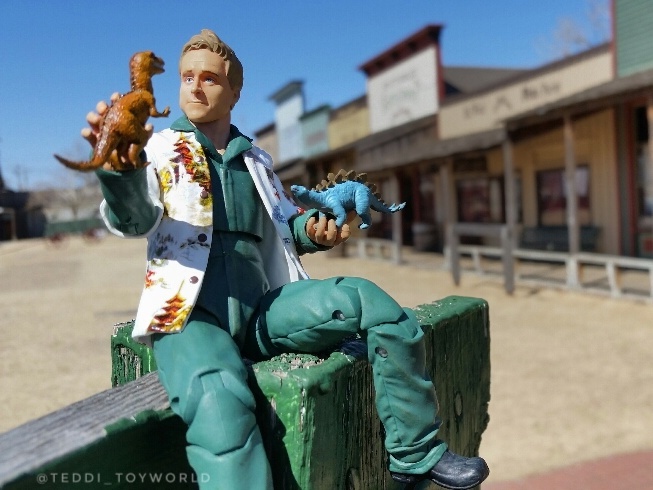 I never tire of seeing Wash from Firefly playing with his dinosaurs, because it’s funny to see a grown man playing with toys. Oh, wait, never mind. That’s normal, remember? There are a lot of great toy photographers making fun pictures based on known characters and their personalities. Here are a few peeps to check out: @ragasukmaa, @shadowymanonashadowyplanet, @dadfett, @knightwing2110, and @actionstuff_mini. Sometimes a photo is funny because it shows a character doing something they would never do. Godzilla (or any other violent monster character) peacefully smelling a flower, or offering a flower to someone else. A mashup is when you take characters from different stories and mix them together (what if Batman from the DC universe met Gollum from the Lord of the Rings universe?). This is another very active form of fan fiction. Tons of examples in my feed daily. Two of the most well known are @zekezachzoom and @plasticaction. Some others I’ve enjoyed: @ghostlord89, @529_jay, @anthmd, and @spideygoeshygge. I tried to come up with some fellow photographers who do the various kinds of fan fiction, but I know that I missed tagging a lot of great work. Help me out by sharing some of your favorites in the comments! And if you have any questions or opinions about fan fiction, drop them in there, too. Would love to hear your thoughts. Favorite photographers? Hm. That’s hard. I see lots of photos I really like, but if I had to pick, I’d say Alan Parma (https://plus.google.com/u/0/+AlanParma). His shots are very close to what I’m striving for. Janan Lee is another favorite. Thanks for pointing us to Alan’s gallery, Zee. Really enjoyed looking through his stuff, and some of his practical effects are giving me some great ideas! I’m already quite a fan of Janan (as mentioned above). Thanks for the wonderful write up on fan art Teddi and also, for mentioning me. I do appreciate it! There are so many of those artist you listed that I’m currently following and enjoying. Personally, I tend to wonder what these characters might be feeling/experiencing outside of the main story and I like to explore their thoughts and hopefully portray them in some way. I’m a huge Rebels fan and I’m not sure if you’ve heard the news from the San Diego Comic Con but there will be the Black Series Ezra and Chopper scheduled for release in June 2019. I’m certainly getting my hands on them! Yes, I heard about Ezra and Chopper, and I’m so excited!